A day out on the boat in the Florida Keys makes for perfect family memories. Create some of your own by renting top of line boats at one of the Florida Keys many Marinas. With marinas and harbors located throughout the islands, Key West and the Florida Keys offer the best for family boating experiences. The fabulous weather and pristine waters guarantee a familyâ€™s day on the water that you will not soon forget. There are all types of watercraft available for rental or purchase in the Florida Keys. 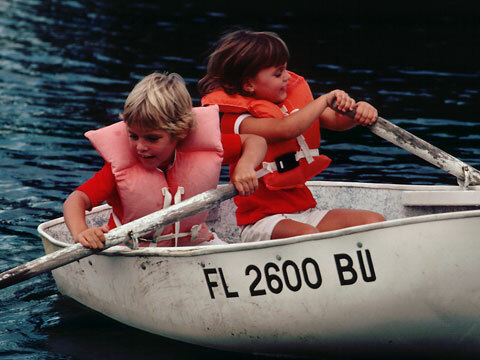 Even if you and your family have never operated a boat before, there are a number of schools that offer lessons, charters, and classes that will teach you everything you need to know about boating in Key West and the Florida Keys. So whether your looking for yachts, catamarans, sailboats or powerboats, the Florida Keys have got you and your family covered. For teenagers and older, consider renting jet skis or other personal watercraft. For families with small children, there are numerous kayak rental facilities many with guided tours for families and children.